It actually hasn't been that long since we've heard Ron Howard's voiceover set to the ukulele theme from Arrested Development. That was just last week in a clever mashup with Star Wars: A New Hope. 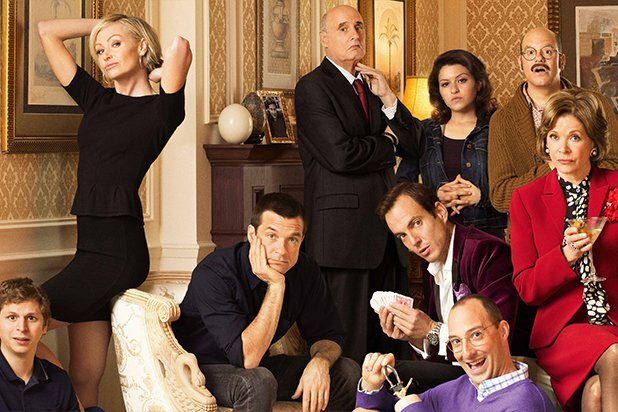 But if we're looking for the real deal...well, there haven't been new episodes of Arrested Development since 2013 on Netflix, but the Bluth family is back and coming sooner than expected. A new trailer for the show's fifth season is here and it doesn't seem to reference much, if anything, from season four. Netflix has gone out of its way to make you forget that poorly-received season happened, releasing a "remixed" version just a few days ago that completely replaces the original. Instead this teaser is full of highlights from initial three-season run which everybody loved. Because of scheduling and other factors season four played wonky with its timeline and rarely featured the talented cast altogether at once. I couldn't get through it, but will give the remix a try at some point. We'll find out on May 29th if the next batch of episodes can make up for the past. So prepare to binge on the Bluths this Memorial Day weekend!